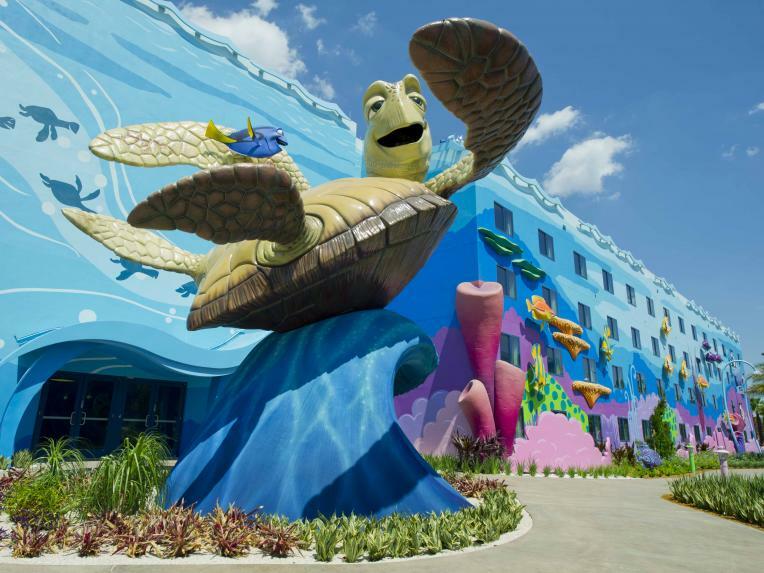 Every corner of Disney's Art of Animation Resort is bursting with creative touches from classic Walt Disney and Disney•Pixar animated films. 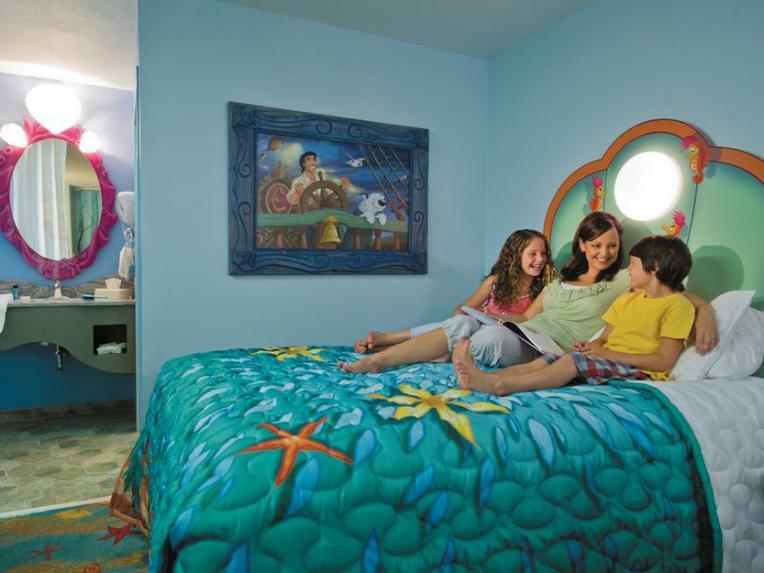 With suites designed after Finding Nemo, Cars and The Lion King and standard rooms inspired by The Little Mermaid, you'll feel like you're staying in the middle of a Disney story with all your favourite characters! 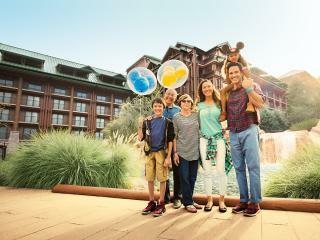 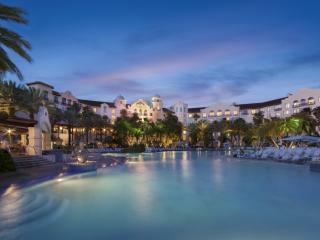 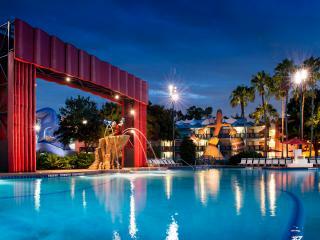 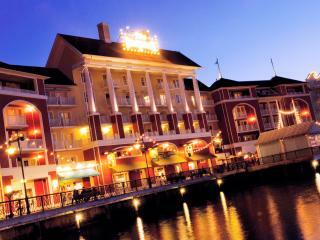 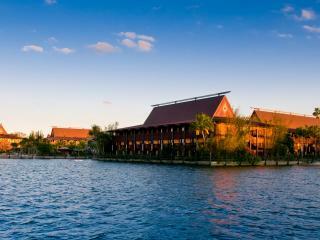 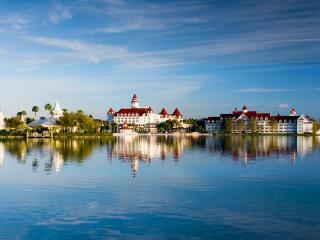 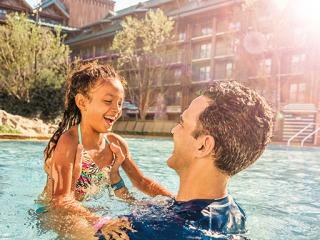 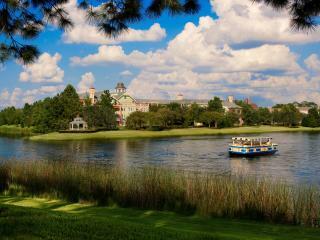 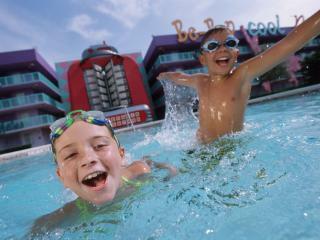 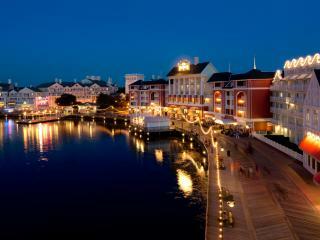 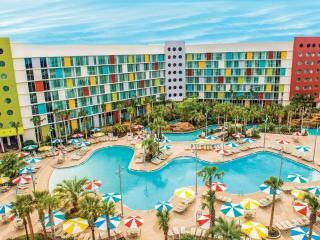 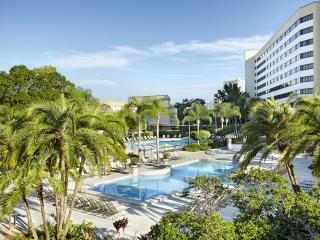 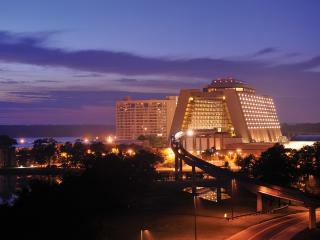 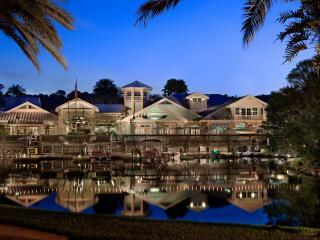 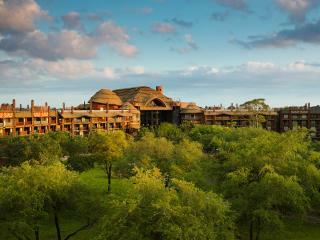 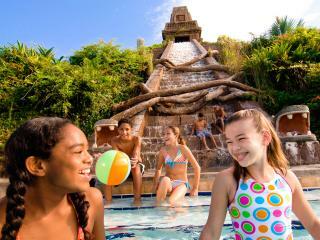 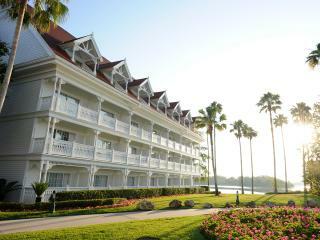 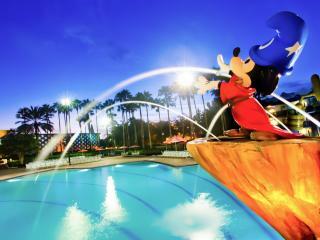 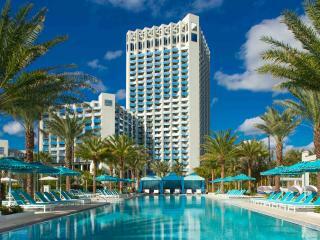 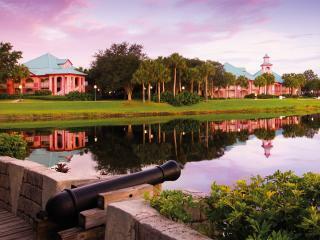 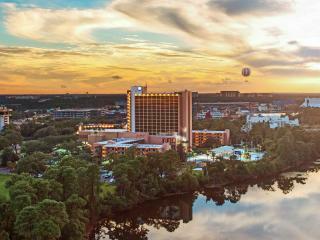 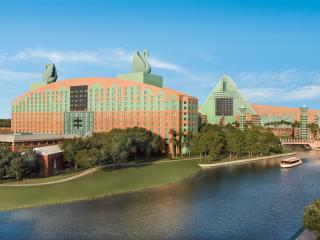 After a day in the parks take the plunge in the largest resort pool in Walt Disney World Resort. 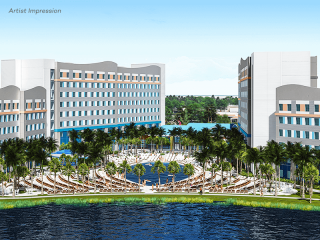 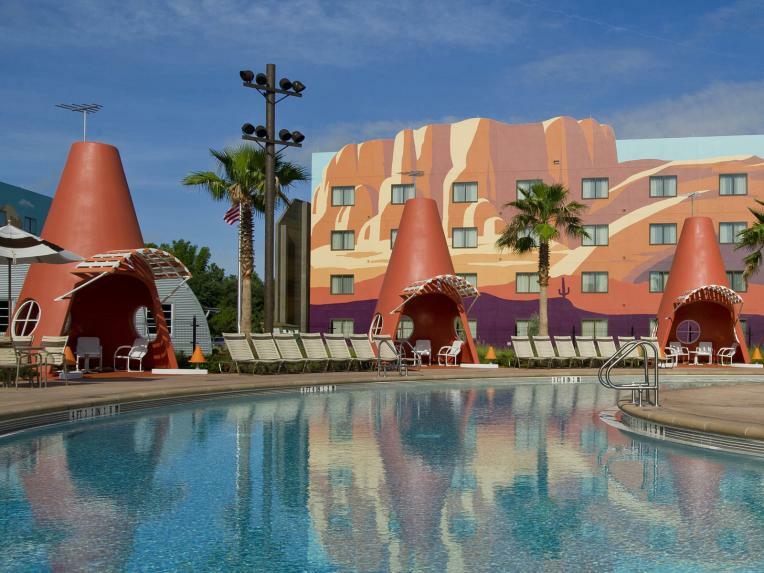 Inspired by the Disney•Pixar movie Finding Nemo, the pool features state-of-the-art underwater speakers - a first for Disney Resort hotels. 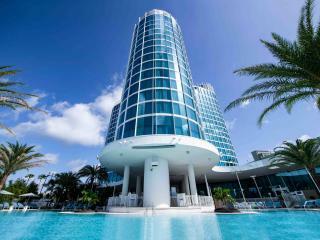 There’s also a pool bar to order snacks and perhaps a cocktail or two. 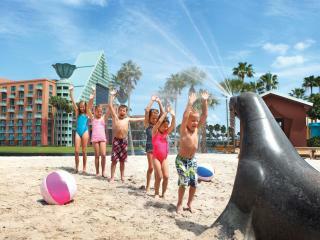 Additionally, there's an interactive water play area for little ones located nearby. 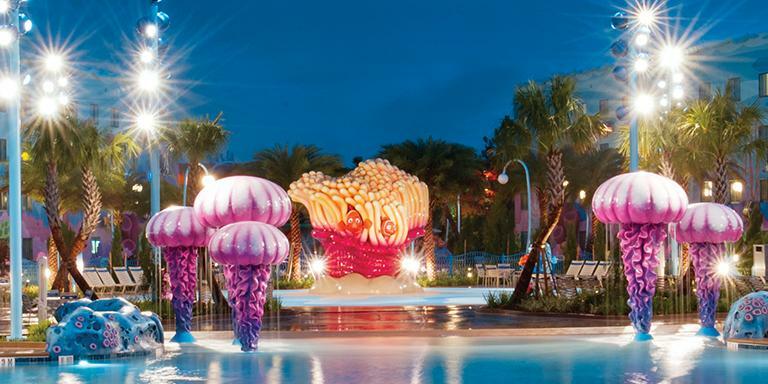 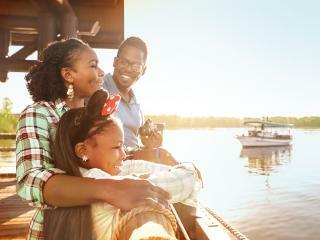 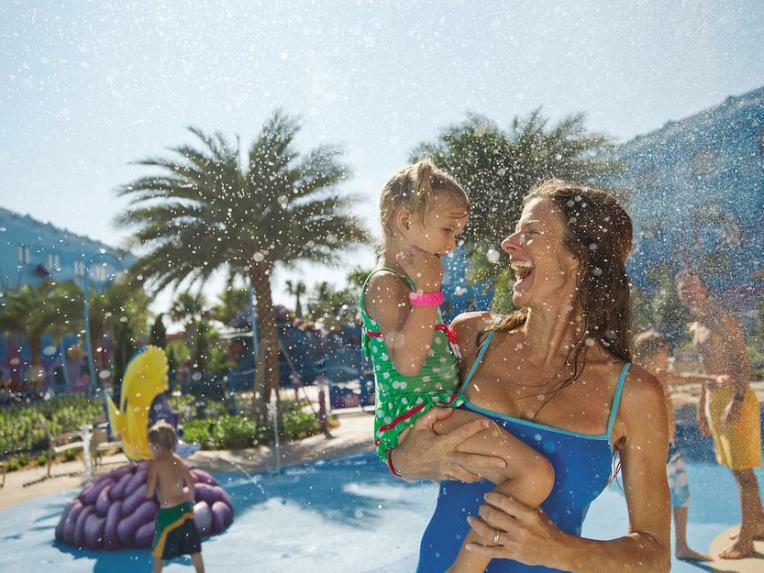 Enjoy relaxing evenings watching a Disney classic with Movies under the Stars or choose from a variety of amusements, including a video arcade, playgrounds and interactive water play areas. 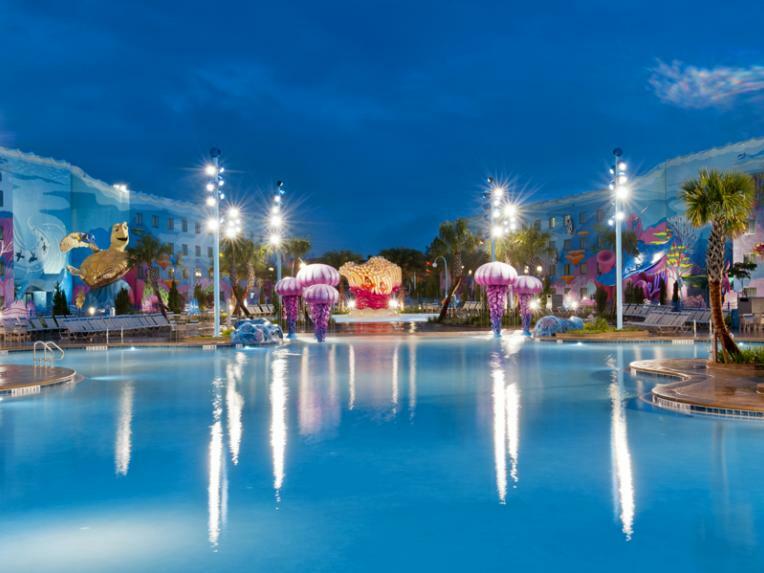 Just outside your colourful accommodations, you'll find imaginative amenities, 3 sparkling swimming pools and 4 playful courtyards; one for each film; to complete your resort experience. 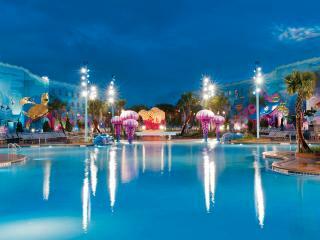 The largest pool is located in the Finding Nemo Courtyard and features a pool bar. 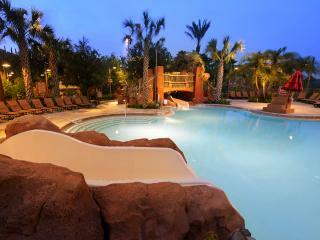 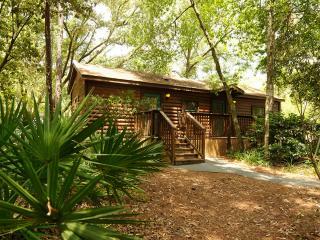 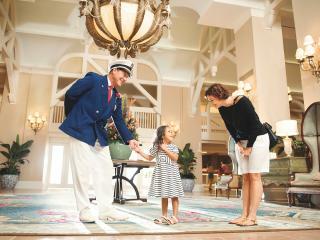 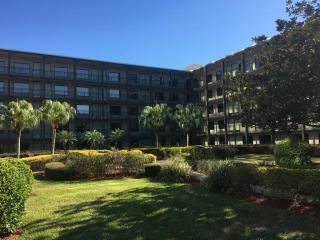 Two smaller pools, located in the Cars and The Little Mermaid Courtyards, provide additional relaxation. 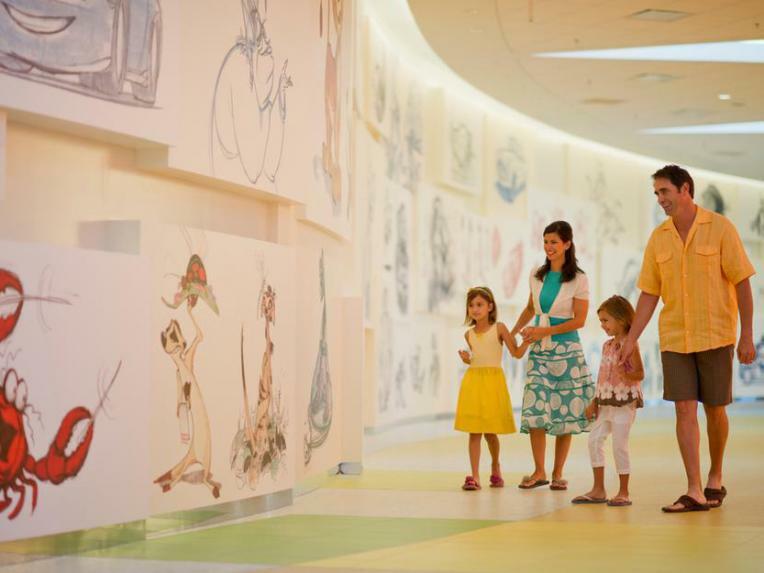 The animation-themed food court offers a variety of family favourites and Grab 'n Go market selections. 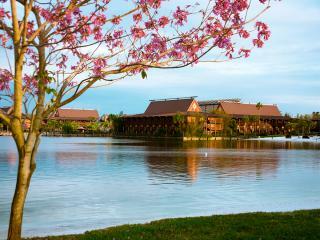 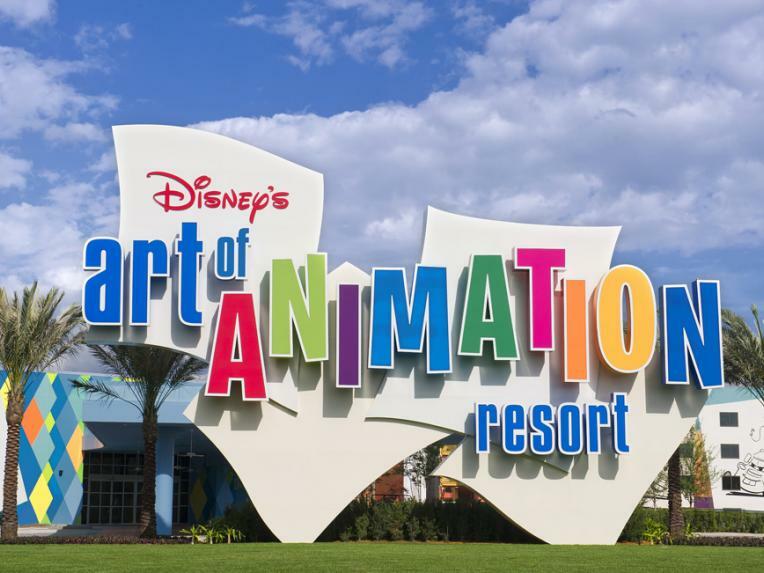 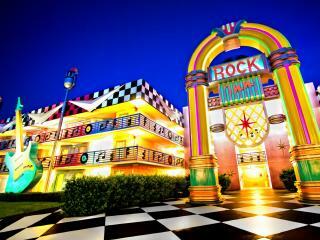 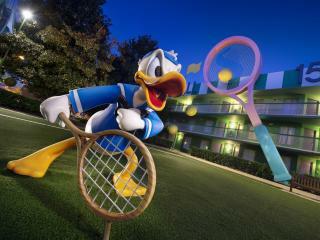 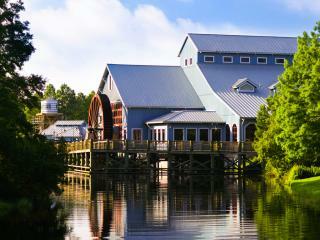 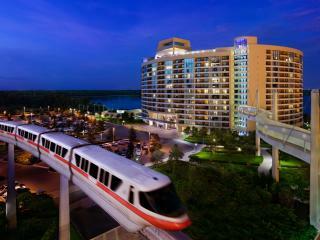 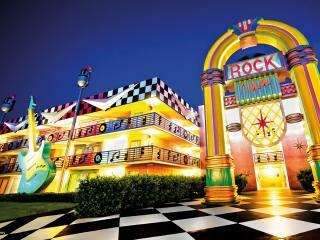 Disney’s Art of Animation Resort is located in ESPN Wide World of Sport Resort area. 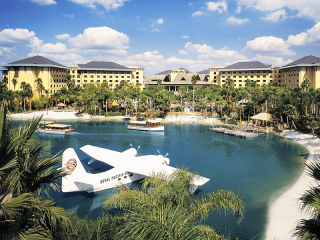 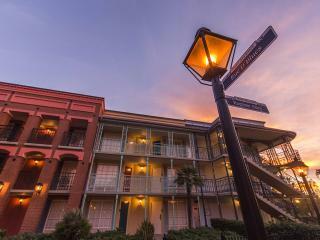 Disney’s Hollywood Studios is the closest Walt Disney World Park to this hotel and guests can enjoy regular bus transport which runs approximately every 10 minutes. 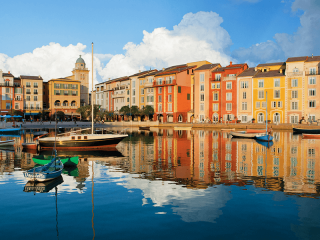 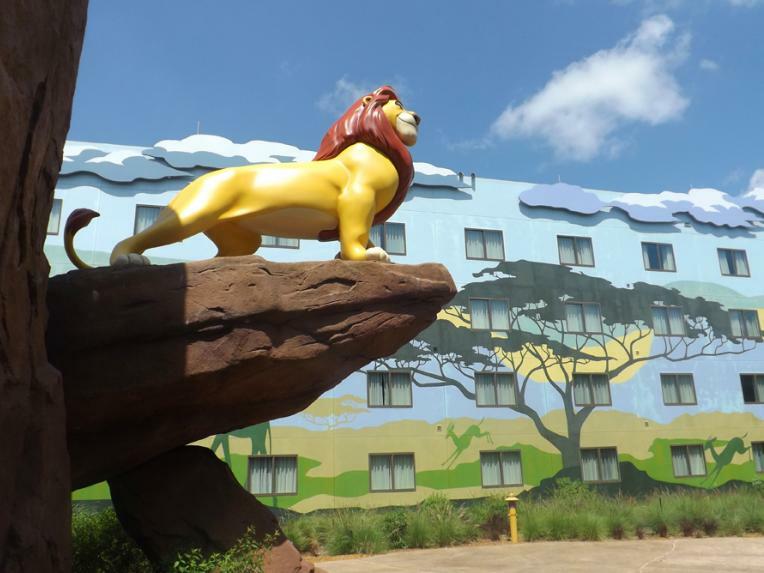 This hotel has such bold Disney theming – the animated pictures as you enter in the reception are spectacular, showing how the characters evolved from conception to the film's release. 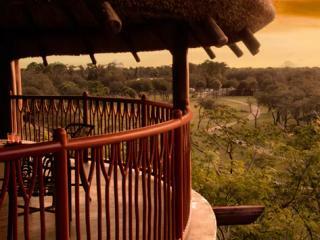 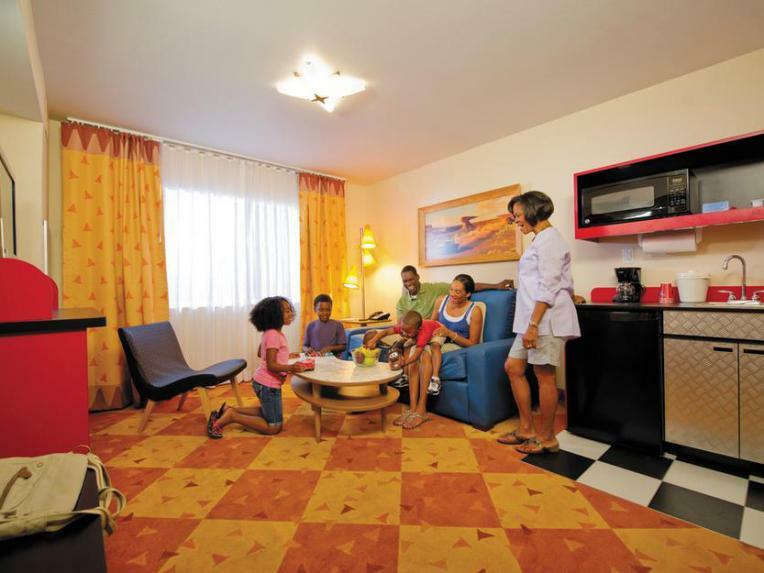 We also love the spacious family suites that sleep up to six people and the Landscape of Flavors Food Court, serving a range of great meals all day. 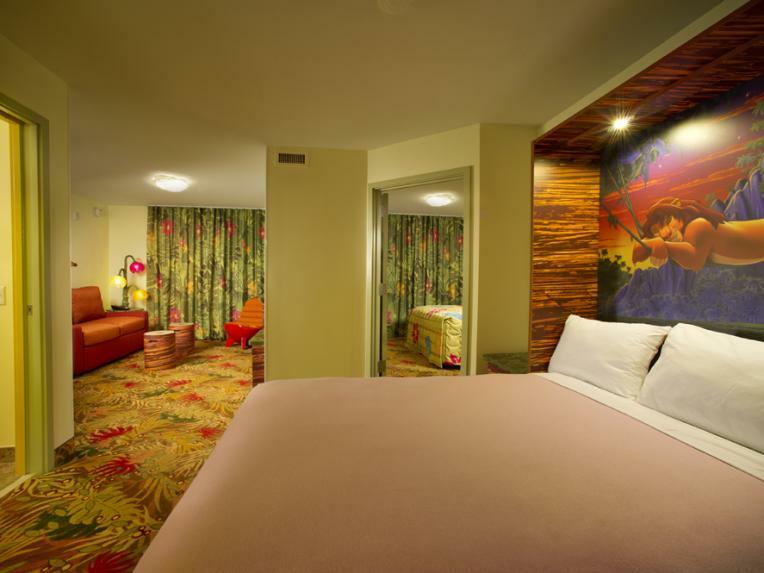 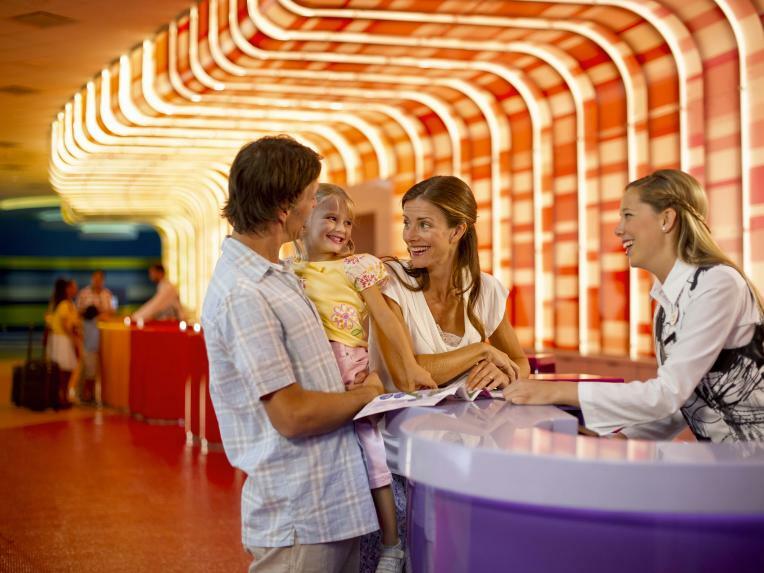 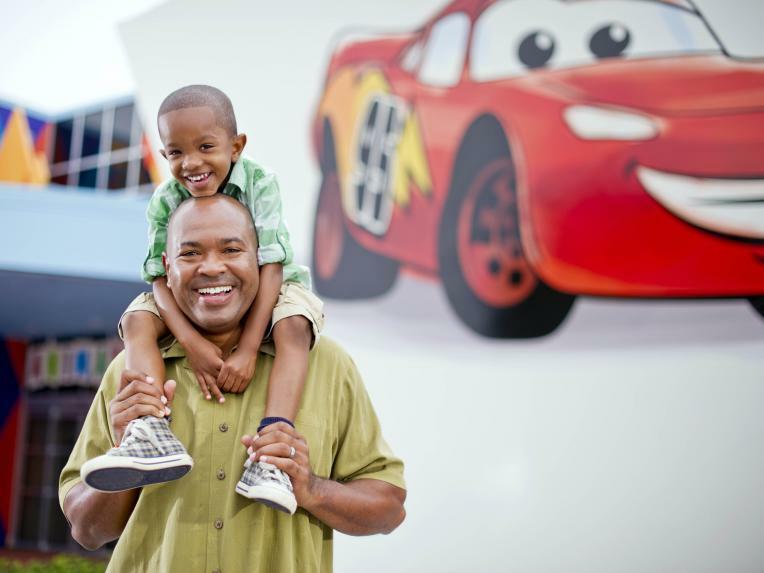 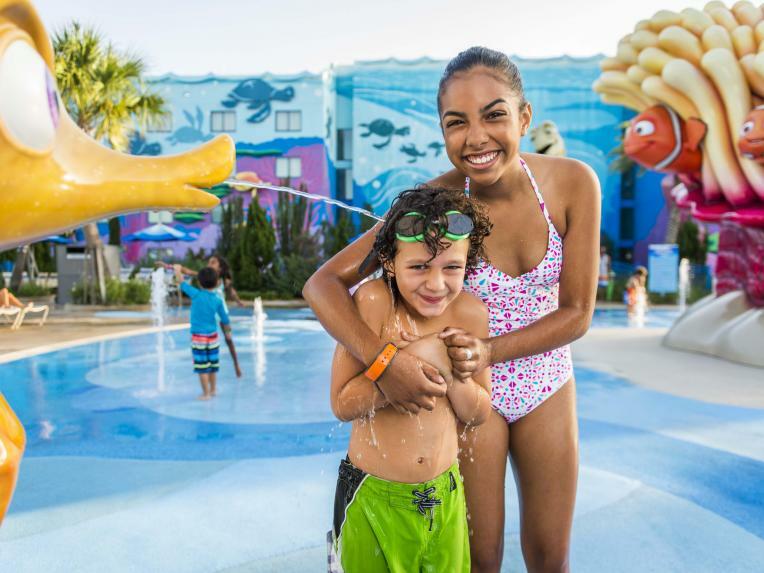 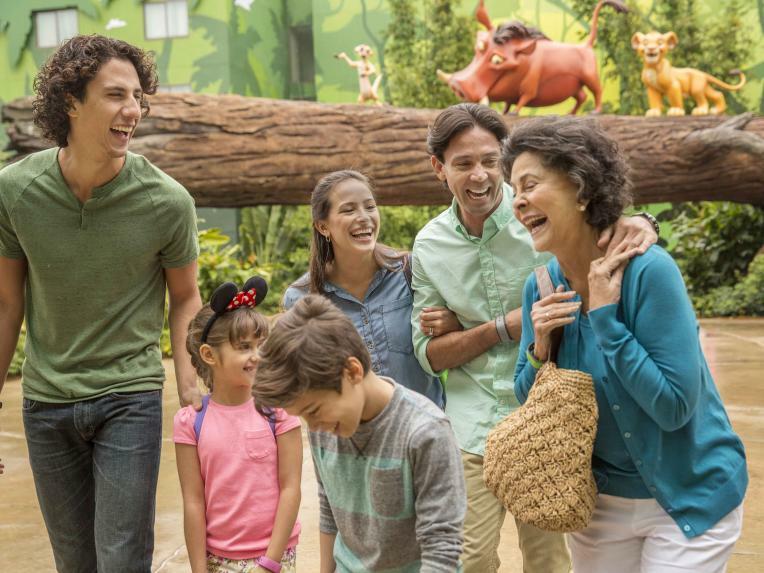 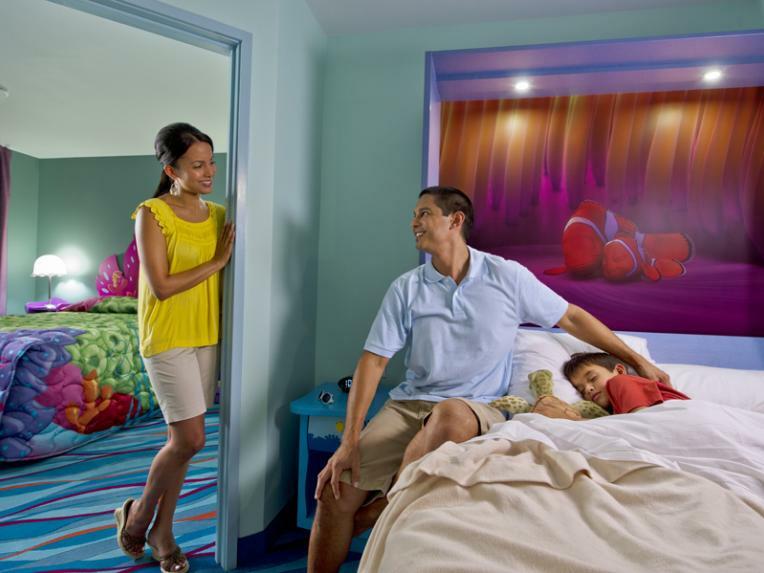 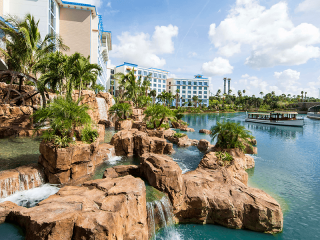 When staying at Disney's Art of Animation Resort find out your kids’ favourite character and request that accommodation, to make your stay even more magical! 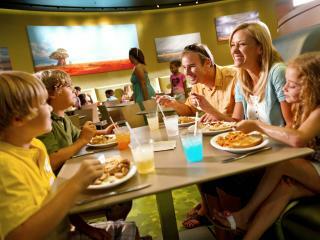 Landscape of Flavors offers a quick service dining experience inspired by American favourites and tasty international fare. 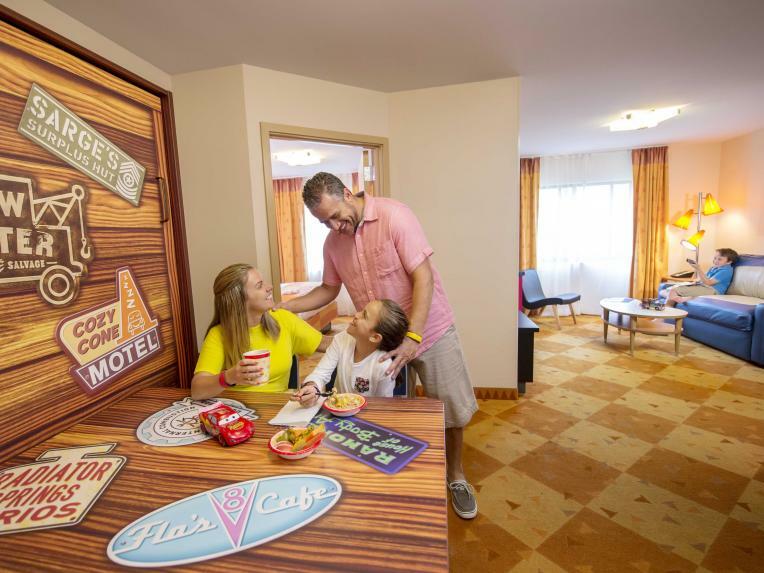 Open for breakfast, lunch and dinner daily, discover 5 distinctive food shops serving fresh, made-to-order cuisine including build-your-own burgers, pizzas, salads and a choice of speciality drinks. 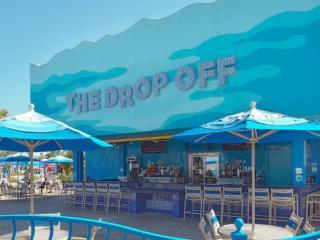 Relax poolside at the Drop Off Pool Bar which serves thirst-quenching frozen cocktails, ice-cold draft or bottled beers and a variety of soft drinks. 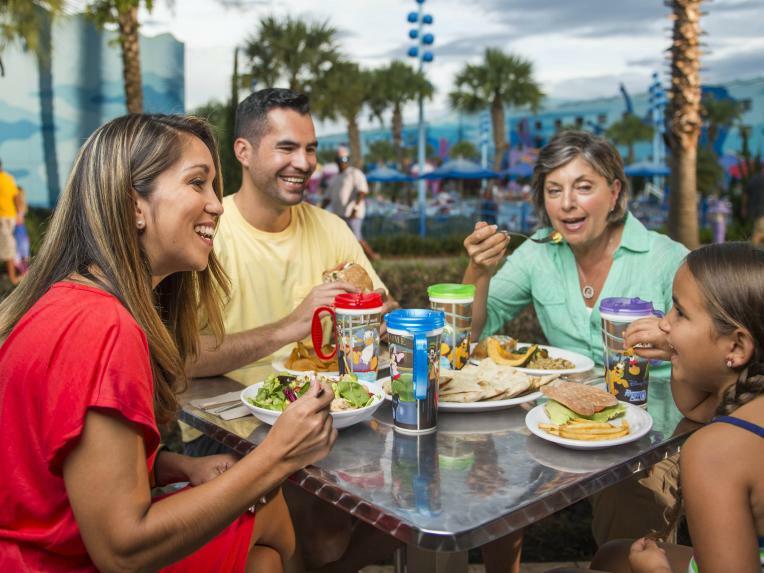 Snacks are also available for those needing a stop-gap between meals!